In recent months, I have definitely paid more attention to my nails. After several failed attempts at doing my own nail art and using nail decals, I was set on having plain nails for the rest of my life. That is until Poppie Sharman from SHE-NAIL invited me down to her space to work her nail art magic. Self taught, Poppie started her career at Wah Nail and even had her own page in their book “The Wah Book of Downtown Nails” where she showed off her Paisely design. Having travelled the world with Wah Nails, Poppie’s nail skills have graced the cuticles of several a-listers. Poppie has now decided to go it alone and bring beautiful nail art to the Brighton fashion scene. She has set up her SHE-NAIL space in Dental Health Spa on Queens Road and is available for appointments on Monday – Wednesday (6pm-8pm) with drop-ins available Thursday and Friday evenings and Saturday 10am-3pm. It’s clear nails are Poppie’s passion, not just painting them but encouraging young girls to shun damaging gel nails. 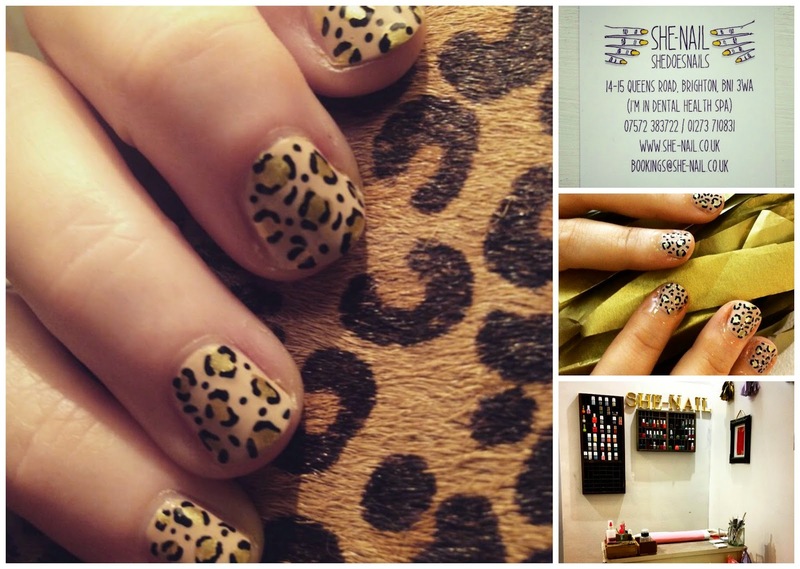 SHE-NAIL promises to be the go-to nail studio in Brighton for fashion forward fingertips. There are four levels of nail art on offer, ranging from the basic ‘She’s Classic’ to the full nail makeover with ‘She’s All That’, plus for a limited time to start her Brighton residency with a bang, Poppie will paint anything you like for just £15. To get your nails painted to perfection with Poppie, call 07572 383722 or email bookings@she-nail.co.uk. What would you get painted on your nails?